From the early days of capitalism, when from 1633 the Hollandische Mercurius referred to capitalists as the owners of capital, on to David Ricardo who, in his Principles of Political Economy and Taxation is seen as the one who actually coined the term capitalism, until today: the structure and behavior of the enterprise as the main capitalist entity, hasn’t changed that much. With the advent of blockchain technology, the evolution of the enterprise could pick up pace, dramatically. An enterprise can be defined as the largest participant of an economic system with an ideology based on - in most cases - private ownership of the means of production and their operation for profit. In the early days, the owners of an enterprise would manage its operations themselves. With the advent of the public corporation, ownership and management were separated from each other: in most cases, the owners did not participate in the management of the company but delegated this to employed executives. With this separation of ownership and management, and a trend towards larger entities with hundreds to thousands, to hundreds of thousands of employees, enterprises had to be structured in a way that would enable a proper management and controlling. In democratic countries, there are specific sets of regulations and laws that provide the framework for owners’ and managers’ scopes of action. The Enterprise As An Institution Throughout the history of capitalism, enterprises have been regarded as stand-alone, singular entities, existing because of the product and service portfolios they would offer to the market. Aspects of enterprises’ interdependencies and connections with their environments played a minor role: one of the better known examples of this is James Buchanan’s Public Choice theory that describes people’s decision-making process within the political realm. When, with the Industrial Revolution, people became aware of the significant external effects enterprises could have not only on the lives of their employees but on the environment, etc., something changed within the enterprises: owners and managers started wondering how they could address their enterprises overall impact on the outside world. Another aspect that made managers think of the interdependency of their company with others, was marketing. Companies discovered that it wasn’t enough to produce high-quality products - they had to tell potential customers about it and even had to compete with other companies offering similar products. The Enterprise As A Platform Acknowledging external impacts of enterprises and the shift from supply-side to demand-side driven markets mark a clear behavioral change for enterprises: trade unions, environmental regulations, but also purely economic aspects, such as just-in-time production or supply chain optimization, all have led to a new kind of enterprise - evolving from institutional constructs into a platform, acting as hubs mainly responsible for organizing a network of partners making sure a final product will be presented to the customer. The enterprise as a platform: these days, most companies would be happy being regarded as a platform. After all, that propels them into the top ranks of the innovative minority according to Accenture, Bain and other consultancies. And yet, the platform enterprise isn’t state-of-the-art. Platforms may offer many positive aspects but they lack all advantages of a decentralized, trustless system, such as a blockchain protocol. Apple, Tencent, Siemens, or other giant platforms are centralistic structures that are successful as long as each platform partner plays along: as soon as one entity in the supply chain fails, the product can’t be delivered on time or with a certain quality. Costs of managing and controlling the platform processes itself have become immense. In the event of an external irregularity, e.g. an activist group’s protest on the basis of an alleged misbehaviour, followed by a consumer boycott, could force even market leaders to halt the production process or even to discontinue a product line. Platforms are highly sensitive against irregularities because of their centralistic architecture. The Enterprise As A Protocol There is a cure for this sensitivity: if platform enterprises improve themselves further and evolve into protocols, they become resilient against internal as well as external attacks and they can regain what most of today’s companies have continuously lost in the past years: credibility and trust in the eyes of consumers. A protocol can be described as a defined set of rules and regulations that determine how data is transmitted in networks. A blockchain protocol is a decentralized database and ledger that allows all participants of the network to work with the identical, consistent data set at any time. Convergence: Blockchain + Smart Technologies A protocol enterprise uses blockchain technology to share the database and its additional, external intelligence, such as AI, autonomous machines, VR or AR, to collaboratively manage and control a supply chain process. The system is completely decentralized, featuring automated processes in line with a set of rules and regulations all participants have agreed on - the governance model. A liquid feedback mechanism ensures that all participants have the ability to participate in the network’s opinion making process. Depending on the intended level of openness, either selected third parties or the general public may also join the network. In the first case, a private, permissioned blockchain would allow a pre-defined group of participants to join the network. If everybody should be granted access to the network, a public blockchain would be used. Cryptoeconomics & Token Design Participants of blockchain networks need tokens to communicate or, more correctly, to transact on the blockchain. These tokens can take different shapes: they can represent a value store only, or they come with a set of instructions defining the so-called token design, or cryptoeconomics of the network. Cryptoeconomics describe the incentive mechanism that motivates participants to actively engage in the network. In the same way, the token design is the regulatory framework for behaving within the network, it’s the (re-)presentation of each participant’s behaviour and value system. In other words: the token is the representation of the brand equity of the network’s or protocol’s participants. Customer perception will be created through the design and use of the blockchain network tokens. Since all transactions in a blockchain are immutable and, therefore, represent an accurate, consistent history, all actions of a protocol enterprise are open for scrutiny by third parties, s.a. auditors, or the general public, i.e. (potential) customers. CEOs of protocol enterprises won’t have to fear misleading accusations by activist groups. However, they have to be aware that omniscient auditors or customers form their opinions on the company on the basis of a complete behavioral history. Bad times for fraudsters! A Tokenised (Banking) Economy It presumably will take years, if not decades, for existing enterprises to evolve in protocols. Also, many of today's platforms will not join this evolution and will remain platforms or even morph back into institutions before the end of their business cycle. But for a new breed of contenders, blockchain technology provides the basis for a tokenised product offering already today. These vendors won't necessarily regarded as enterprises in the first phase, but they might take over the role of today's market leaders. The key aspect of a tokenised economy is the token representing the behaviour and values, or, the brand equity, of market participants. Blockchain technology is still in its infancy: most systems are not enterprise-ready, yet. However, the decentralized and open nature of blockchains provide the basis for a market penetration in an insane mode . Bitcoin, the first blockchain protocol, has evolved into the world's 6th largest currency by circulation according to the Bank for International Settlements. The figure is based on a value of bitcoin at $10,765 each, meaning that the total value of all bitcoins in circulation is $180 bln. Bitcoin evolved into this widely used currency within nine years of existence - being the very first of its kind, initialising the category of cryptocurrencies. Solarcoin, another cryptocurrency and token, was launched in 2014. It's a global rewards program for solar electricity generation: 1 Solarcoin represents 1 MWh (megawatt hour) of solar electricity generation. Verified solar electricity producers, may get Solarcoins for free when participating in the network. 99% of Solarcoins will be given to solar electricity producers of 97,500 TWh (terrawatt hour) over 40 years. The creators of the Solarcoin foundation expect a market price of $30 per MWh in unregulated and unsubsidised markets. As of today, a Solarcoin costs $0.50 - so, there us a long way to go to reach a $30 price tag. However, at $0.50, Solarcoin has the third largest market capitalisation of all cryptocurrencies, reaching over $45 bln. Since renewable energies, especially solar power, cover more and more of the world's energy consumption, we could expect the Solarcoin network becoming the or one of the main vendors within this space. And, what else is Solarcoin than a reasonably tokenised product offering? 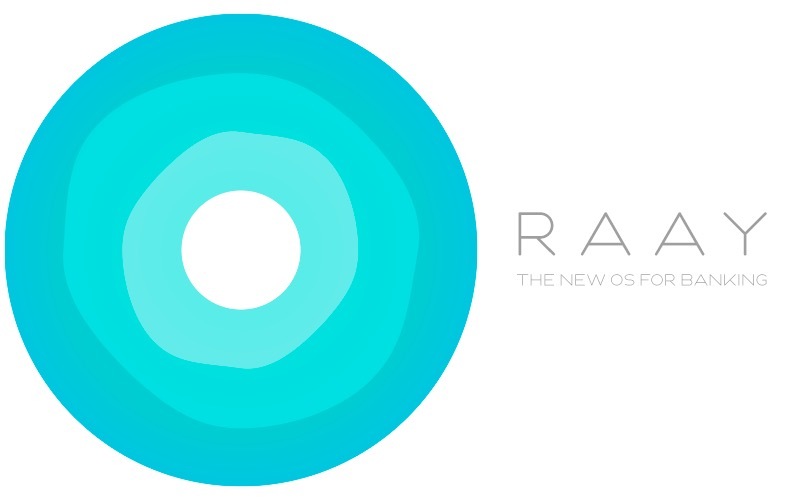 The RAAY Operating System For Banking For the RAAY team, blockchain technology is more than a database and a ledger: it's the new operating system of a tokenised banking economy. Done right, the RAAY operating system not only allow new vendors of financial services enter a crowded market, its decentralized and open characteristics provide the tools for completely decentralized and open business models, such as (a renaissance of) cooperatives, collectives, etc.. RAAY provides the tools - creators, entrepreneurs and any existing third party vendors may now use it and start morphing centralized, vulnerable platform enterprises, products and services into decentralized, efficient, resilient, innovative ones.